Hello everyone, long time no see. As a small number of you know, I’ve been on a very long hiatus. Work has been super consuming this year. I do however have two weeks off for the holidays, which I plan on spending by bingewatching TV shows with my girlfriend. I was thinking of visiting a couple of chats, but my sister gave my laptop cancer and mobile doesn’t seem to want to work for me. It’s completely fine though, I’ll figure it out later. I would appreciate anyone recommending any shows or anime that they enjoy as I’ve become more open minded to different genres. Amazing idea and amazing representation. If this were to be implemented I already know I'd try and collect all of the medals as well. COMING UP - 11TH XAT ANIVERSARY . 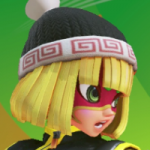 I think new hats need to be added in general, not just because of the anniversary. What series are you seeing? Both my mom and dad watch it. They say its great. I might start it, if it's anything like Breaking Bad I should like it. Hey @JeanGraphics! You've made some pretty amazing designs. I like your ayuda one, along with the purple xat5 one. It kind of reminds me of Van aka Crush's old style. Keep up the great work! Agreed. Plus, the pawn itself looks too bulky in my opinion. There were so many other pawns that I think would have had a better shot at being permanent. While I agree with both you and Bella, I feel like loss in value is inevitable. Prices simply go down over time. But it will be a good while before we reach the point where 4 digit IDs sell that low. I'm sure there's ways to work around it, maybe only add the really nice IDs every other or every third auction. I don't mean to sound silly, these are just ideas. Feel free to add on to or modify them. I fancy the V4 the most, the rest have too many "effects." Overall great work! It's weird because I don't really like drama movies.. but I'll watch tv dramas all day. I hate when a couple argues in public but I missed the start and don't know whose side I'm on. I for one like anything that isn't horror. I can't stand scary movies. I was invited to watch the new Annabelle and had to turn them down because I had "work." We all already know that this has been suggested in the past.. The point is that in the end it all leads up to the same thing; being able to use previously available pawns. In my opinion it's a pretty good idea, doesn't really matter how it's implemented. But I do also believe it's not likely to happen. Now, I have no idea if this has been mentioned in the past and I am very bored. Look at all these lovely hats. Now look at the football helmet. WHAT? What is this? Lovely idea. Nice choice of button placement too. Congratulations, SSJB SJJB SBBJ SJBB! Nice for a first. Wish you luck throughout the rest of your designing career!